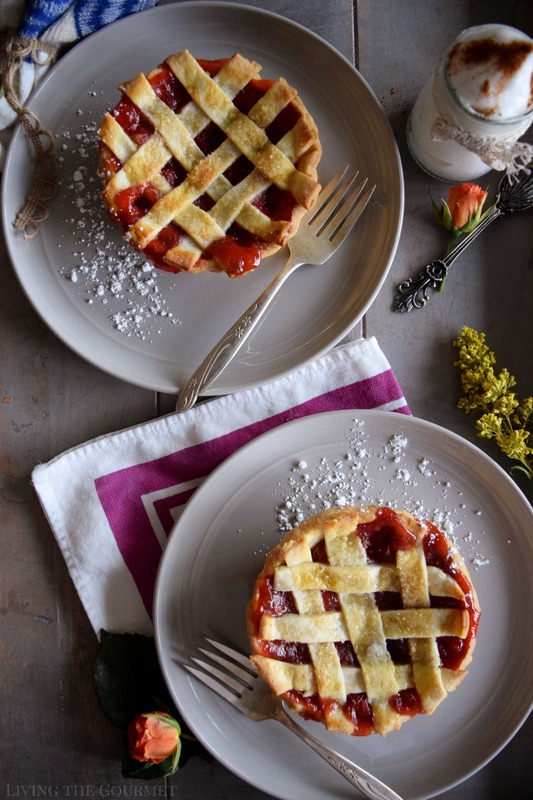 These Strawberry and Rhubarb Pies are a perfect dessert to enjoy the summer evenings with. We’re serving ours with a cool Vegan Whipped Cream topping for the ultimate indulgence. I read somewhere, long ago, that “Rhubarb stalks are the adult version of strawberries.” I never quire understood the connection, save that they both are at their height at the start summer, and that they both sort of ‘taste red,’ except one is bright and cheerful and sweet, and the other is muted in color, tart of taste, and has poisonous leaves. I’ll let you figure out which is which. While strawberries might be a quintessential, seemingly ever-present summer fruit enjoyed by the masses, rhubarb it’s is several times removed bohemian cousin, enjoyed solely by those ‘in the know’ with the patience and inclination to prepare it. 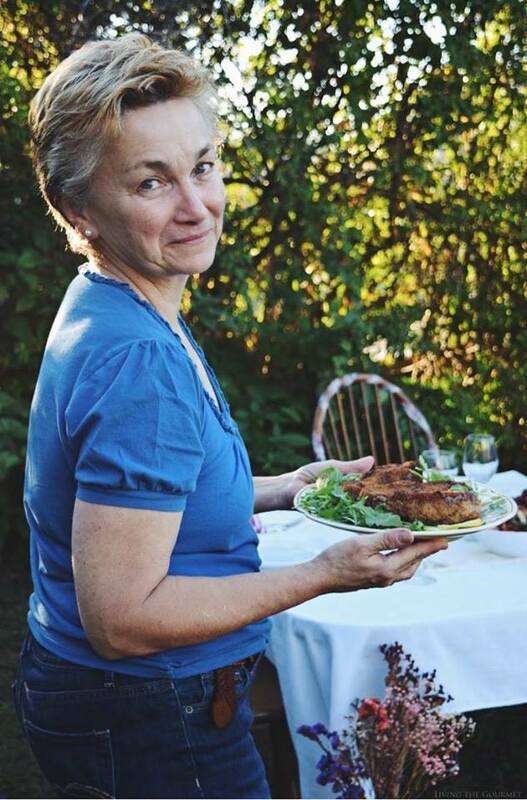 For example, I could picture myself sitting at the edge of my garden in the shade with a glass of decent rosé, a few carefully peeled stalks of rhubarb, and a small saucer of raw sugar for dipping – a refined and less-than-expected summer treat. 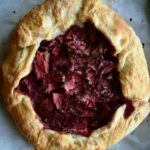 However, while turning on the oven is hardly my pastime of choice for the summer, early July just wouldn’t be the quite the same without one of my favorite seasonal pies – Strawberry-Rhubarb. I guess from the above, it’s safe to say I haven’t ‘fully’ matured, as I still require some of the aforementioned strawberry sweetness to enjoy my rhubarb. 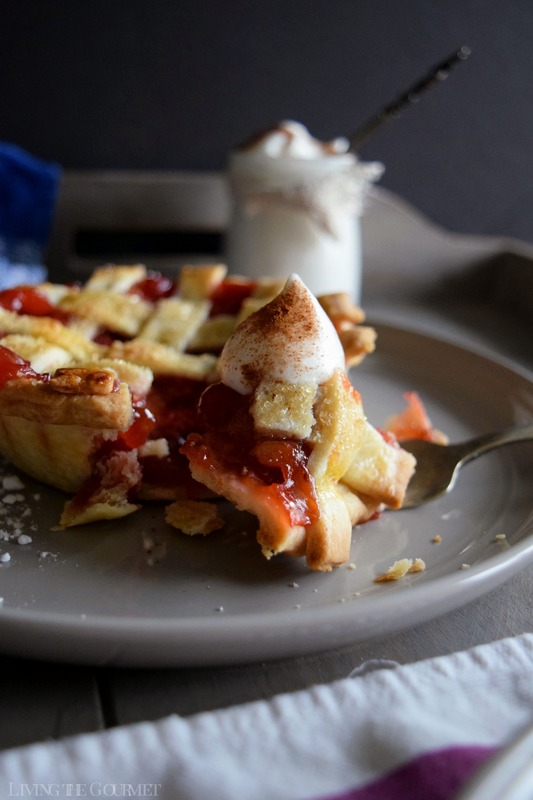 That said, I prefer to serve this particular type of pie individually and with an aquafaba whipped topping as opposed to whipped cream, as I find the slightly more ‘pungent’ flavor and texture of the aquafaba compliments the rhubarb beautifully. For those who are unfamiliar with aquafaba it is simply the saved ‘juice’ from canned chickpeas. Before preparing the aquafaba whipped cream, I suggest straining the juice first. To start things off, we begin with the crust. Begin by simply combining flour, sugar, salt, butter, and water in a processor, and mix until we have a final dough. Then roll it out, and fit the dough to individual pie pans. Now, we’re going to want to prebake these for about five minutes. Note, be sure to save any scraps of dough you might have left over from fitting it to the pans, as you want those for the top lattice of the pies. From there, it’s time to prepare the filling. 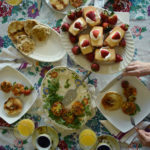 To start, boil down a cup of strawberries, a cup of rhubarb, fresh orange zest and juice, vanilla, some sugar and cornstarch, and continuing boiling that down until it is nice and thick. Once that’s done, spoon that mixture into the prebaked pie crusts, assemble the lattice, and bake as directed below. 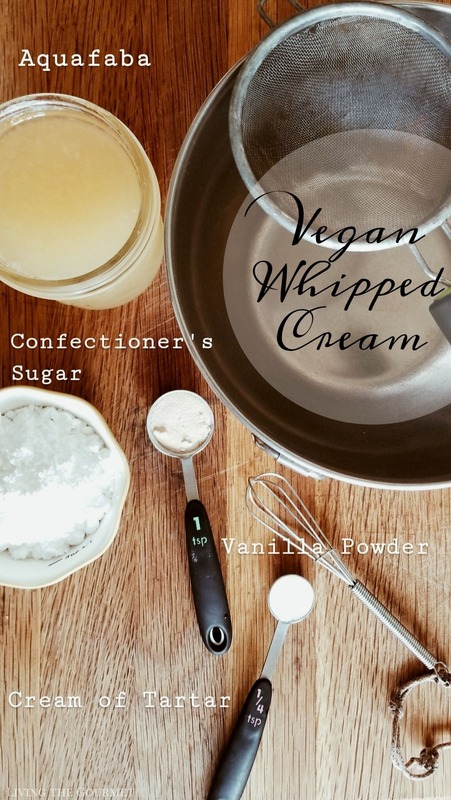 While the pies are baking, it’s time to prepare the vegan whipped cream. To do that, you’ll need a chilled bowl, and in that chilled bowl whisk together about two cups of aquafaba (chickpea juice) with powdered vanilla, cream of tartar, and confectioner’s sugar and continue whisking until stiff peaks start forming. 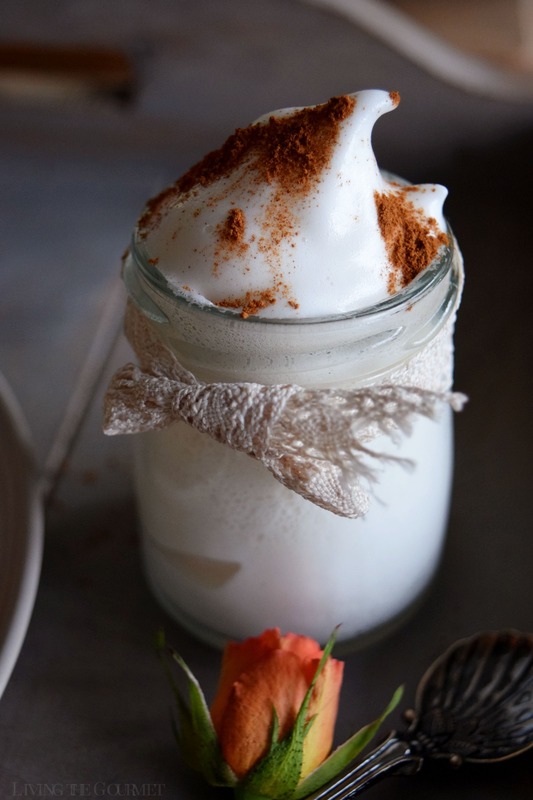 To finish it off, I sprinkled the whipped cream with a little cinnamon, or you could even add a dash of cinnamon to the mixture before whisking. Simply top pies with the whipped cream and serve. Combine flour, sugar, salt and butter in a food processor and pule until crumbly. Add 1 tablespoon of water at a time until you get a soft dough. Turn the dough out onto a well-floured surface and shape into a disk. Refrigerate for about 1 hour or overnight. Again on a well floured surface, roll out the dough and fit to a mini-pie pan or a single pie dish. *Don't forget to save the dough scraps for the lattice topping. Prick the bottom of the shell(s) with a fork and blind bake for about 5 minutes. Remove the pie shells and let cool while you prepare the filling. 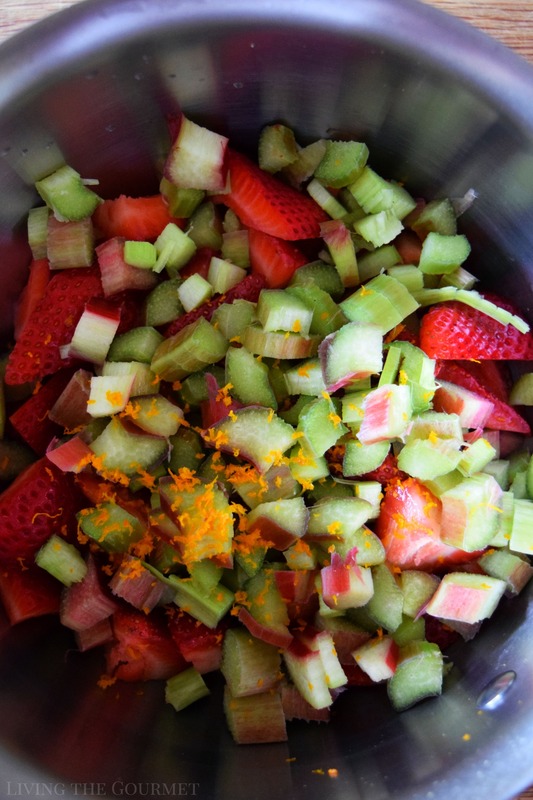 In a small saucepan, boil down the strawberries, rhubarb, orange zest and juice, vanilla, sugar, and cornstarch. Stir occasionally until the fruit has boiled down and the mixture has thickened. 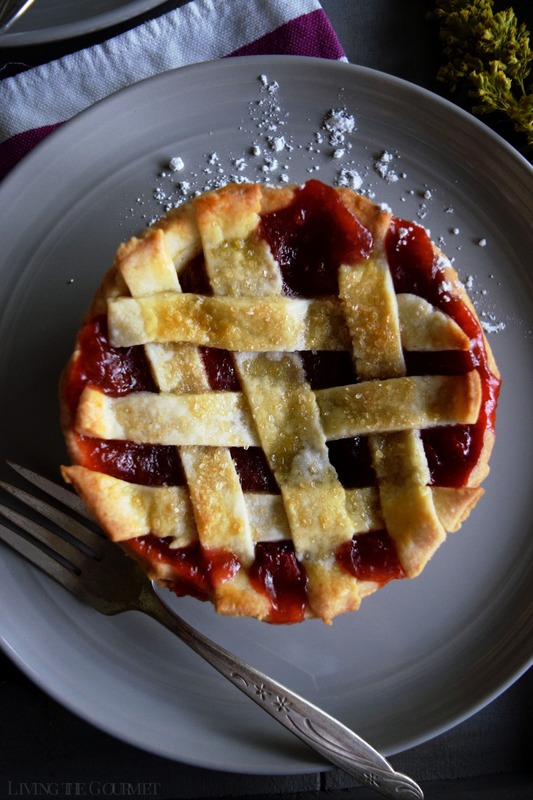 Fill each pie shell with the filling, then top the leftover dough pieces and create a lattice. In a small cup whisk 1 egg and 1 tablespoon of water. Brush the tops of each lattice with the egg wash and sprinkle with raw sugar. Bake the pies for about 30-35 minutes or until the crust is golden and the filling is bubbling through. In a chilled metal bowl, beat the aquafaba, vanilla, cream of tartar and confectioner's sugar until stiff peaks form. Serve a dollop on each pie with a sprinkle of cinnamon. Enjoy! And just like that, you’ve got a quintessential summer dessert. Oh my goodness! These pies are gorgeous! And strawberry rhubarb is one of my all-time favorites. 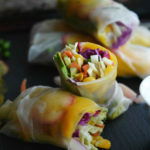 Perfect for summertime, pinning this to try - thanks! I just love the fresh flavors in this. Can you believe I have never had rhubarb? 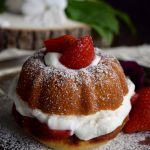 I love strawberry and I bet this is outstanding it sure looks it! Great job my friend! Your pies are so cute!! 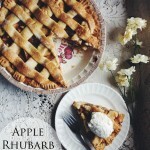 I haven't had any rhubarb so far this season, I need to get some! These are beautiful! I've never tried the aquafaba whip before, but it looks great. I'll be giving this a try when I find some nice rhubarb. Oh, my, this filling combo sounds fabulous!! And such beautiful mini pies!! I'm saving the topping for my vegan friends---thanks for sharing. 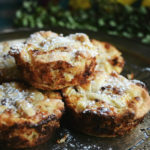 your mini pies looks delicious Catherine,a warm hug !